The best thing about Ayurveda is, it has benefits and no side effects! The term Ayurveda includes two words; Ayur and Veda. ‘Ayur’ appears for life, while ‘Veda’ indicates science. It generally indicates the ‘science of life’. It is not a therapeutic system; it is much more than that. It won’t be incorrect to call Ayurveda a lifestyle. This therapeutic and medical system, this age-old system deals with physical, psychological and spiritual wellness. Controlled by the rules of nature, Ayurveda indicates that wellness can be obtained by creating a perfect balance among mind, body, and spirit. 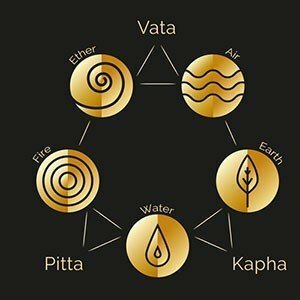 According to this old science of treatment, bodies are made of five elements- earth, water, fire, space, and air. Three scientific humors regulate the running components of an individual’s body. Ayurveda medications are prepared using the traditional process with intelligence, which is used for production. This way, the Ayurveda proves that it is the future of wellness too. It contains the active concepts in natural types, which cure the patients from within. While recommending Ayurvedic treatment to a person, the physical, psychological and emotional well-being is also regarded. The Ayurvedic medications usually come by means of decoctions, powder, pills and treated natural oils, made using natural herbs, nutrients and vegetation. It deals with herbs and herbal science. Ayurveda also involves multiple minerals known as dhatuus. Most famous therapy of Ayurveda is Panchakarma. This process in 5 parts, treats every ailment of a patient. Ayurveda often gets merged with another popular Indian technique, the yoga. People dealing with Ayurveda often prescribe asanas of yoga to supplement their herbal treatments. Ayurveda deals with several massage therapies using different kinds of oils. Aromatherapy, though a different science in itself, can be considered to be a subset of the Ayurvedic techniques. Ayurveda considers that massage can canalize the toxins to their proper destinations within your entire body from where they can be eliminated. In this manner, our bodies remain free from residual toxic substances. Ayurveda also believes in the diet plan. When treatment is going on, the Ayurvedic physician will stress on the need for the food plan the patients. Each component is selected with care because with any disease, there are many dietary signs and contra-indications.